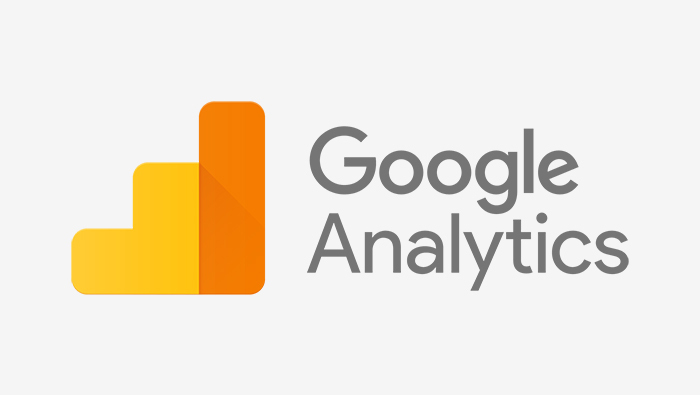 Google Analytics has the ability to make most agency owners’ eyes glaze over just thinking about it. This article will surprise you. Though the setup is easy, let someone who “speaks the language” get you started. Once you see what you can learn and how easy it is to find the information, you will be hooked. Let this article be the bait. It is a little longer than we usually send, but we think you will find the thoroughness worth it. Perhaps the quickest way to get an agency owners’ eyes to glaze over is to start talking about the more technical aspects of online visibility. Well, I will make you a promise to explore some of these topics while preventing a glassy stare. So, when I mention “Google Analytics” don’t start. I can make this easy (and, ultimately, profitable) for you. You don’t have to know how. First, of course, is getting set up. Just do it. I am not going to even try to explain it to you. Frankly, it is not that hard, but Google likes to throw in terms and techniques that make my own eyes glaze over. It is easy to get lost in the nomenclature. So, here is the deal: If your webmaster is worth anything at all, he or she knows how to do this – or, at least understands the terms. If your webmaster is your 15-year old kid, you can use your own experience with regard to his or her worthiness for the project. In any case, just get someone to do it for you. Do not, however, get tricked into paying a lot of money for it! To prevent this, I am offering you a link to a 14-minute video that explains it all. [www.bit.ly/RRR-GAsetup]. I picked it from several I found on YouTube just doing a random search. You can watch this so you will have enough language to control the conversation with whomever you get to do this for you. That way they will think you know enough so you will not be conned. In some cases, this video will give you or someone on your staff enough information to actually do it yourself. Whatever option you pick, just get it done. You can track everything you do online. So what? Why would you want to track everything? Well, assuming you are doing something proactively online (own a website, posting on Facebook, buying AdWords, selling homecare services), you want to know if it is working beyond just generating revenue. If what you are doing in any area or on any page of your website is not working, you know to change it (or have it changed) so you can get value for your efforts. It is like those rumble strips in the center or side of some roads. When you are off course, there is something to wake you up so you can make a correction before hitting something hard. I will keep my promise to keep your eyes glaze-free. For you, it is simple. Google’s side is a bit more complex, but you don’t care. For your part, you know that websites are built with lines of code. Your webmaster will simply insert a few lines of code on every web page on your site. Google provides the code in a very clear and simple fashion when you (or your designee) signs up. Whomever manages your website simply places that code right at the top of the page (where it says) so there is no mystery to it at all.From that point forward, every time a visitor clicks on any page of your website, the code tracks information about the visitor. Not only that, but the code puts a tiny bit of information about your site on the computer of the visitor (you have heard of “cookies”) so the system will remember that you “know” each other. New visitors are different than repeat visitors in important ways. But, Google collects a lot more than that. Exactly what does Google measure? Risking the introduction of new vocabulary, I will keep it simple. There are two types of data that Google collects when a visitor clicks onto your website, “Dimensions” (demographics) and “Metrics” (statistics). It is somewhat surprising how crafty all of this is, but it makes being online very valuable. In fact, the reason this article is being written is that so few people take advantage of this largely hidden, but powerful infrastructure. Now you will know. These are the categories of Google data. When you log into Google Analytics you will see these exact words in the right column with the ability to click on them to obtain your reports. Acquisition refers to how you obtained your website traffic. In the simplest terms, you can use the acquisition reports to see how people arrive to your site. Acquisition reports are an excellent way to see which vehicles are best for bringing traffic to your site. You can drill down many layers on these reports. If you buy advertising on Google, the Acquisition reports will reveal which keywords produce the best response. Behavior reports tell you what people are actually doing on your website. Using Behavior reports you can see if visitors are actually taking the actions you want them to take. It measures the effectiveness of your website. If you find people not following your intended path (you can see where they get stuck), you can get your webmaster to make structural changes. One of the more interesting reports under the Behavior tab and the Overview tab below it, is the Behavior Flow view where you can see every step of every visitor from entry to exit. There are many other Behavior reports available which you should study once you are up and running and comfortable with all the new information you will be getting. Conversion reports literally slice and dice every movement a visitor takes on your site, including how much time he or she takes at each step. Using this data, you can make detailed adjustments to your site to maximize the process it takes to get the customer to get to your “Goal” (call for an appointment or ask about pricing or services or request other information). When it is all said and done, Google Analytics does not give you answers, it locates problems and guides you to solving them. Issues like: How long does it take for a page to load? ; Are a significant number of visitors dropping out at a certain point? ; Are certain keywords more successful than others in achieving the goal? As I said at the beginning of this article, you will want to employ a resident geek to help you with the process, if only to understand all of the terminology. Watch the short video so you will feel more confident talking with your geek [www.bit.ly/RRR-GAsetup]. Make sure, however, that you do not fully delegate the analysis of your site. Demand that you be included in the use of the tools as you move forward. Your comfort level will grow, and you will have significant advantages over those agency owners who do not take the time to learn how to use this amazing free tool. If you find yourself without a geek you can trust, you can call us and we will loan you ours. We keep a few around.